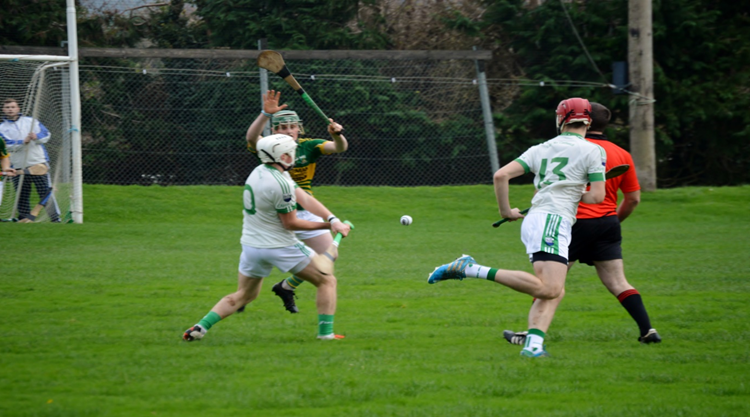 On the bank holiday Monday last we were in Clogheen to play Ballybacon/Grange in the U21 hurling competition, with the wind in the first thirty Cahir were in a tough physical battle with their neighbour's and scores from play were at a premium, as the fast paced game continued it was the free taking of Ryan Murphy that came to fore with great accuracy, from various positions, every ball he struck seem to turn to gold with Ryan raising the white flag eight times in the first half and at the break Cahir had double scores 0-10 to 0-05, the second half saw our young men play against the now stronger wind but that did not deter this fine bunch and restricted Bally to just three points, ourselves were to add a little more to the score again the Murphy show was on display with Ryan getting another 1-02 to add to his tally, over all a good game for the spectators and well worth the entrance fee, again a few neighbourly tussles but nothing bad and all done in good sprit, as you would when the neighbours come to gather for a GAA game , final score Cahir 1-12 Ballybacon/Grange 0-08, well done to all our panel of players and the management team led by Pat Cashman, as we are on Ballybacon we would to congratulate them on winning the Junior county final over the weekend just gone, (pictured above and below of Ryan Murphy in action), full team and scorers below picture, Nicholas Reidy, Ger Quinn, James Walsh, Keelan Looby, Ryan O'Donnell, Brendan Donaghy, Patrick Meehan, Darragh Howard (0-1), Colin McEniry, Mikey O'Connor, Stephen Grogan (0-1), Ryan Murphy (1-10), Alan O'Connor, Conor Cashman, Conor McKenna. Subs Used: Tommy Magner, Mark Casey, Eoin O'Neill, Dylan Walsh. As we told you over the last few weeks our mass for our deceased loved one's is on next Saturday the 11th of November in St. Mary's church at 7-30pm, we are asking you all to join us for this mass to remember all our loved ones and afterwards we will go back to our club rooms for a nice cuppa and chat with you all, so don't forget next Saturday evening. This week we have three people we have to wish a get well soon to, Hughie O'Donoghue, Denny Whelan and Tara Armitage, all three have various bumps bangs and breaks we won't get into details but we wish all three a speedy recovery and hope we see you all back up and well as soon as you can. 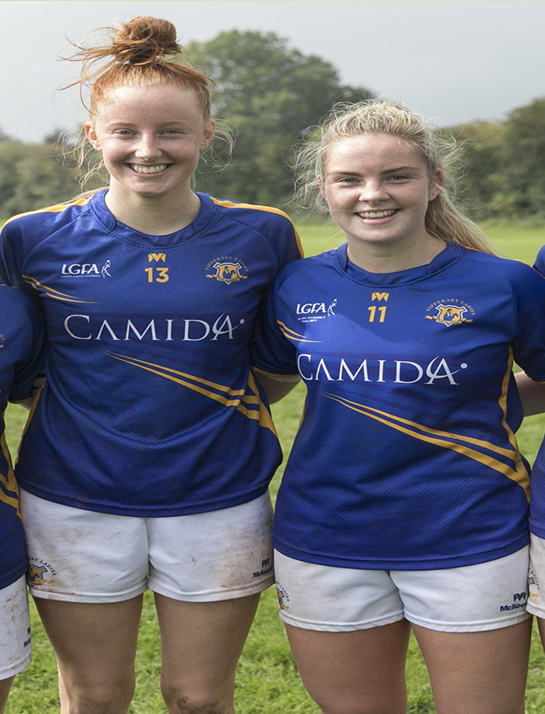 What a year Aisling McCarthy and Aisling Moloney (pictured) are having, their latest accolade is to be nominated for the TG4 players player of the year award at Intermediate level, what an achievement for the two ladies from the one club for the same award, it's a shame there can only be one winner, in our eyes these two ladies are winners all the time, congratulations Aisling and Aisling well deserved. Sunday last our weekly fun game and fund raiser was held in Cahir House Hotel and as always we were looked after well, thanks to you all for your continued support of our Joker draw, this week's winners: Colleen & Chrissie, P. J. Keating, Aoife Power, Margaret O'Connor & Michael Halpin. Well done to our U11 team that beat Moyle Rovers on Thursday night last. Unfortunately the team just missed out on a semi final place by just 1 point. All the best to the player's and management for 2018. 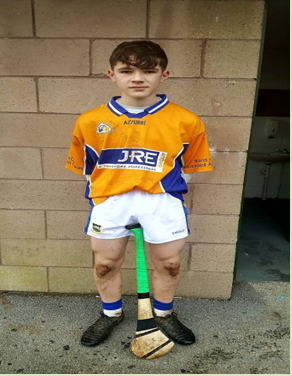 Another young person doing well this year is Kevin Hickey, Kevin played with the U14 South Divisional hurling squad in Cashel at the weekend where they played the North Tipperary squad, the game ended all square 2-11 apiece, well done Kevin another bright prospect from our club. 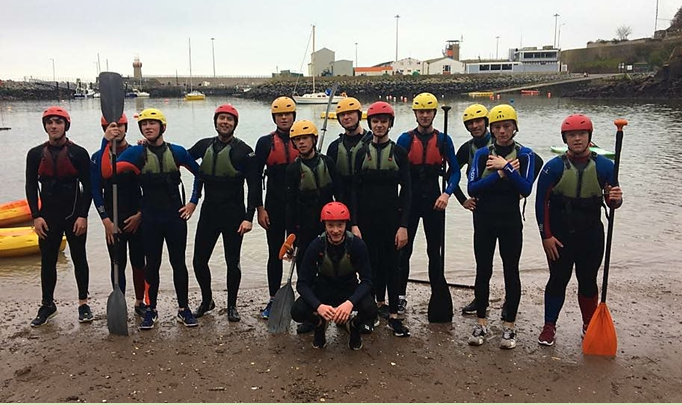 Our U16s (pictured below) had a great day out last Friday when they were taken on a trip to Dunmore East for a day of water sports and other activities, thanks to Brian, Larry and the management team of the 16s for organising a great day, great fun we believe. In the picture below are (left to right) Dara Hefferan, Nathan Walsh, David Clifford, Brian Dolan, Kevin Grogan, Liam O' Neill, Stephan Grogan, Kevin Hickey, Conor O' Brien, Larry Molan, Fionn Browne, Conor Kirwin and Jake Kiely. 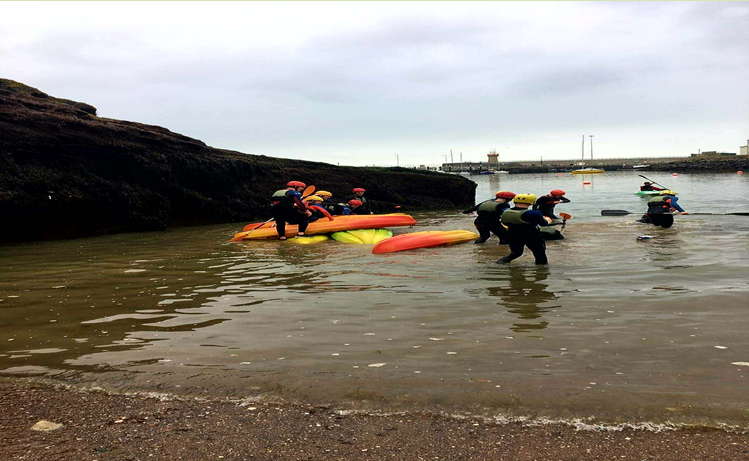 Our U16 having fun in Dunmore East. (Look's bloody cold guys). 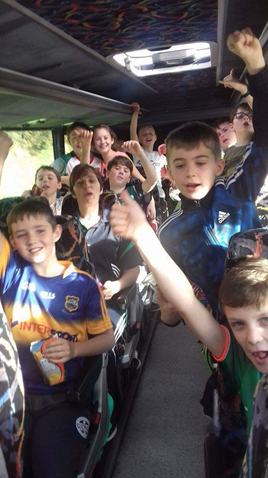 The Juvenile club seems to be the place to be last week with all the fun and trips they went on, and well deserved too, not be left out our U10/11s were also on a day trip to safari Cork where a great day was had by all, thanks to Majella and all the mentors for organising and looking after the gang, (pictured below some of the 10/11s on the bus to Cork. The November county draw took place last Friday evening, sadly there was no winner from our club for this month, thank you to all of you who signed up with us for the county draw and let's hope the next draw will be our lucky one fingers crossed. 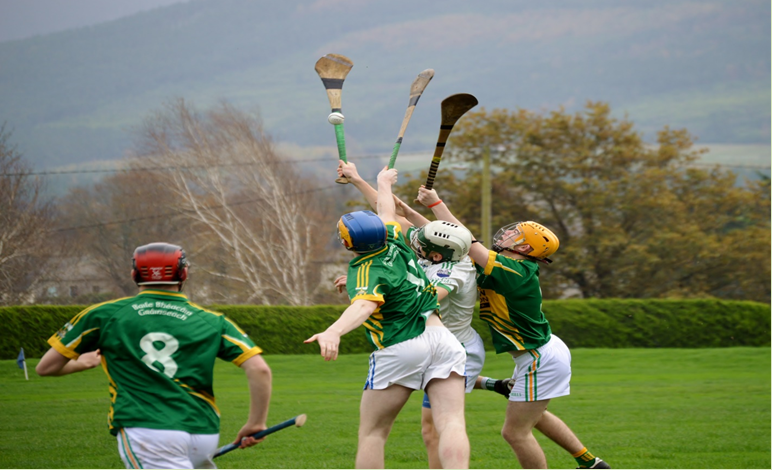 Tomas Kelly, Liam Hickey, David Clifford, Jack O'Connor, Jack Coffey, Nathan Walsh, Christopher McDonagh Snr, Francie Delaney, Darragh Heffernan, Christopher McDonagh Jnr, Tommy McDonagh, Kieran Power, Kevin Hickey, Robert Kelly, Jake Kiely, Jack Moloney, Kevin Grogan, Conor Kirwan, Liam O'Neill and Thomas Molan. 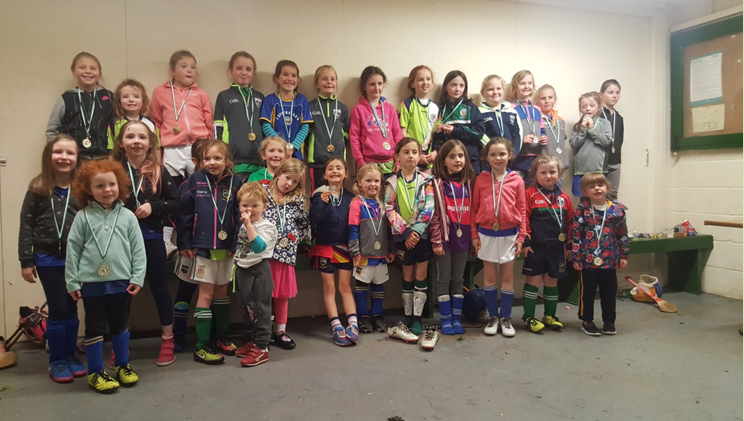 Our U6 ladies had a little party to finish off their year at the weekend well done to all our stars of the future, picture by Carmel Flannery taken in the club rooms, don't they all look great.